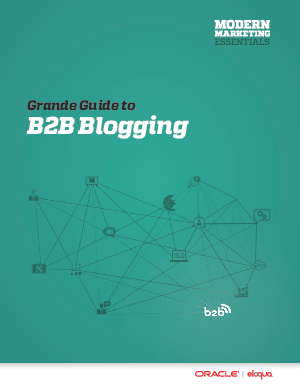 B2B Blogs are a different animal than the personal musings, rants, and raves populating the web. Powerful, if done with care, business oriented blogs can move interest to consideration. This easy-to-absorb guide explores what it takes to create the most compelling entries for the jaded world of business buyers. Learn to build long-term relationships. Grow your following. And, in the end, close more deals. Read the guide now.